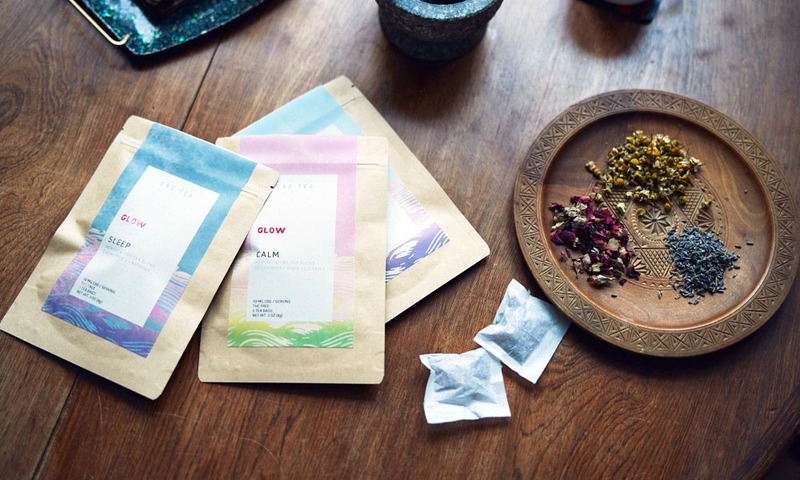 What Are Glow Water CBD Teas? Use the power of plants to help relax, restore or sleep. Find balance with daily use, or for relief of acute symptoms. Herbs that are 100% Organic and sourced for their quality and healing properties. No sugar or additives- Purity is our Priority. The Age old tradition of brewing tea couldn’t be easier or feel more relevant in today’s chaotic culture. Get back to your best self with a tea routine. To create the teas, we use a nanonization process for the CBD that makes it water soluble (i.e. dissolves in water when you brew the tea) which has the added benefit of high bio-availability. Our CBD is Full Spectrum unlike most other products. That means you are not only getting the benefits of the CBD but also all the other cannabinoids found in the hemp plant including CBN (Cannabinol), CBG (Cannabigerol), and THCV (Tetrahydrocannabivarin), to name a few. Amy Hammond, Glow water started as a restorative fitness tea and has grown to a full line of CBD wellness teas. We pride ourselves on creating a complete wellness experience with our teas and truly believe in making a difference in people’s lives for better health. We are very excited about the new arena of CBD and will work hard to stay educated and provide up to date information as the industry shifts and changes.